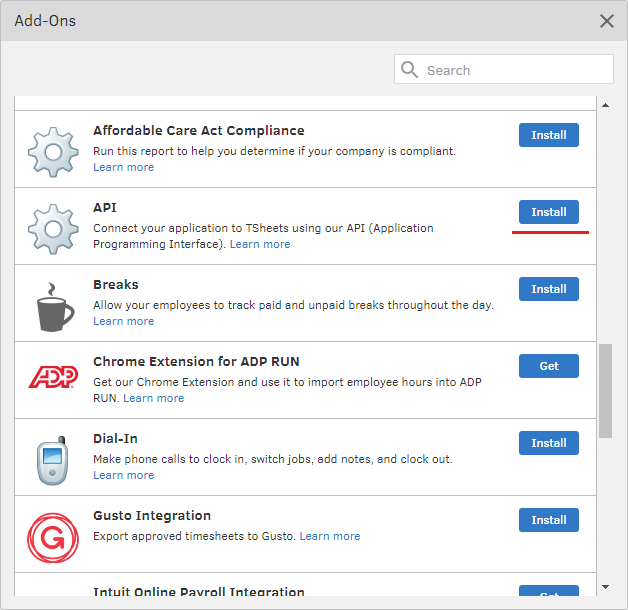 Afterwards, the API Add-On will be available from the Feature Add-ons section of the left navigation pane. Select Add a new application at bottom left. 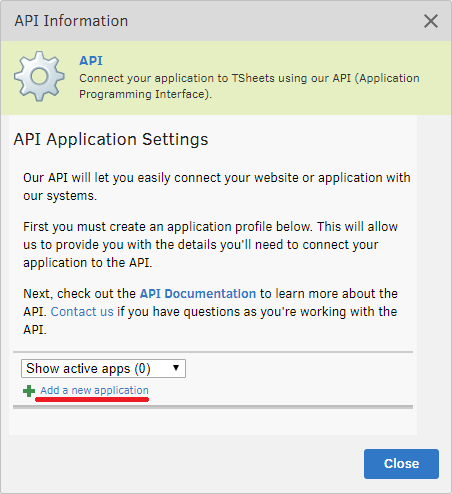 If the following window is not displayed, you can select API from Feature Add-ons on the left navigation pane. Add a short name and a meaningful description. For now, just use a dummy value for the Redirect URI. It can be edited later. Almost there! Click Add Token at bottom left. This step will generate a token for immediate use. Copy the token value for use with API method calls, and be sure to Save before exiting. Congratulations! 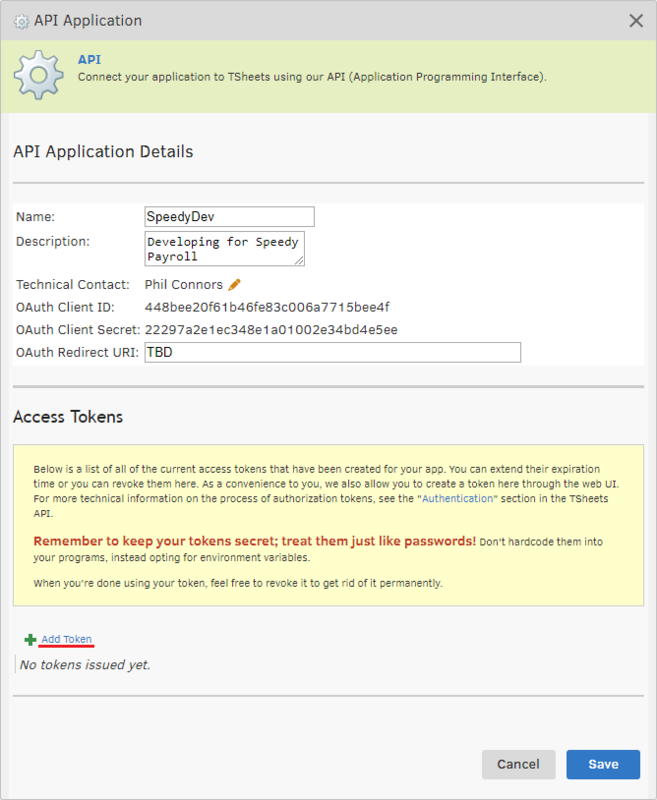 You may now explore the API with ease, fully authenticated. 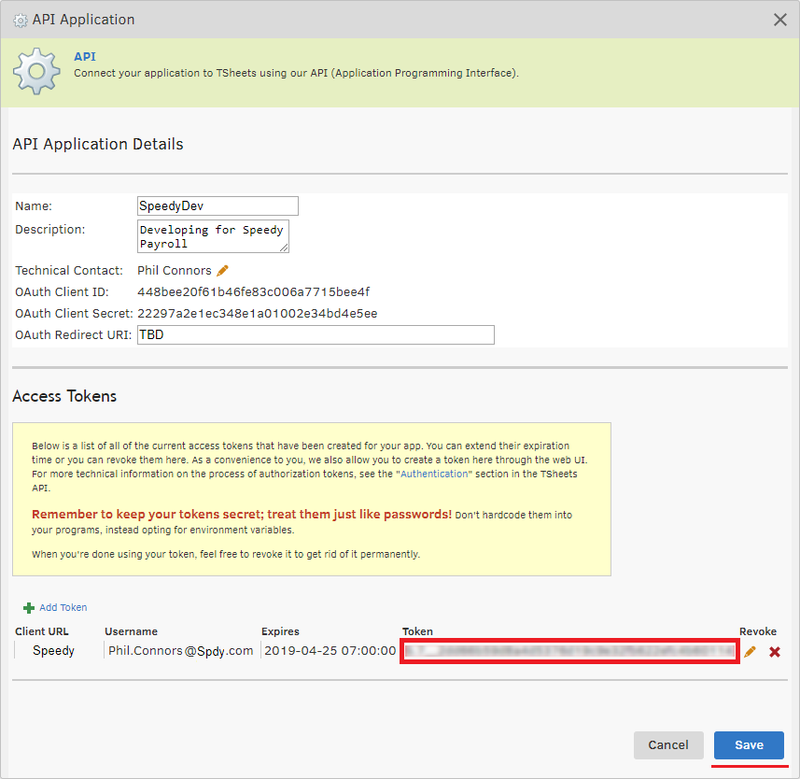 Enter Access Token in API details. Note: The expired token will not work. enter a valid token. Load TSheets page in SimplePay, and go to Import Data Tab. Under Manage Employees panel, number of employees created in TSheets will be listed which are not imported in SimplePay. 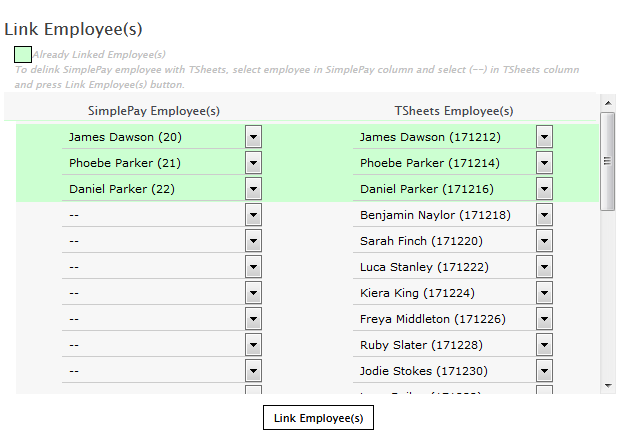 Employees salary profile data will be imported only if Salary is set as 'Per Hour' in TSheets. 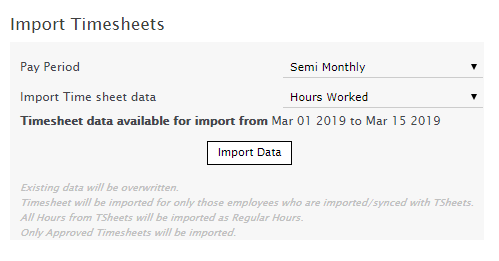 You can import timesheet data for employees imported from TSheets. 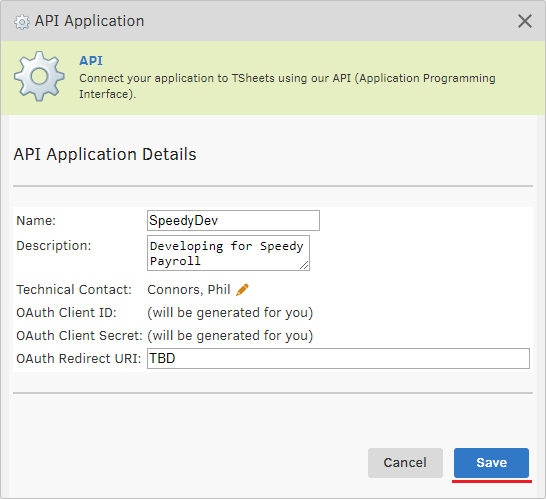 Load TSheets page in SimplePay. 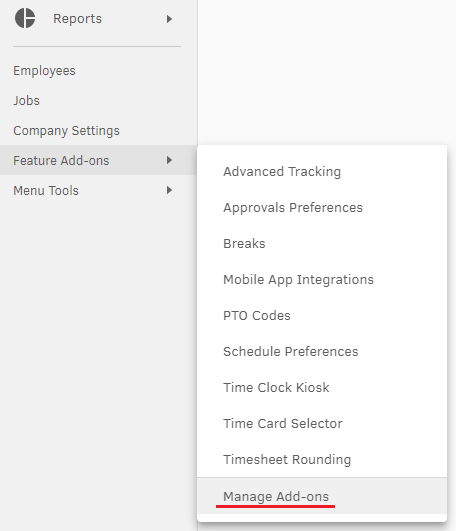 Press import data button to import timesheets from TSheets . All Hours from TSheets will be imported as Regular Hours.